he thought it was folly to send it in the hands of a hobbit. he wanted to prove himself to his father. The eldest son of Denethor II of Gondor; Boromir journeyed to Rivendell seeking the meaning of a dream and there became a member of the Fellowship who accompanied the Ring-Bearer southwards. 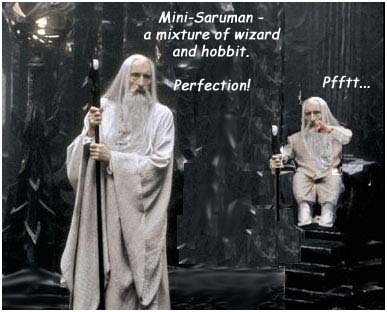 Like his father, he considered it utter madness to let Frodo go to Mordor with the Ring; all (common) sense dictated bringing the Ring to Minas Tirith and using it against Sauron. Boromir often proved his skill and strength on their journey, but at Amon Hen he finally succumbed to the Ring's influence, first trying to persuade Frodo to go to Minas Tirith and then attempting to take it by force. Soon after, the Company was attacked by orcs at Parth Galen. Boromir slew many foes and blew his great horn until it was hewn apart. But in the end he was slain when Uruk-Hai archers shot him with many black arrows. Aragorn, Gimli and Legolas laid his body, chanting funeral songs, in a boat and let it drift down the Anduin. The cloven horn they laid on his lap. Later is was said that the horn was heard in Minas Tirith. Boromir was the beloved son of Denethor II, Steward of Gondor, five years elder than his brother Faramir. He resembled his father in look and pride, but unlike him, he found delight mainly in arms, with no wife, "fearless and strong, but caring little for lore, save the tales of old battles". Between the brothers was great love and respect. Boromir's skills made him unrivalled and unquestioned as the Captain of the White Tower. He was among those who fought Mordor at the destroying of Osgiliath. On that night he had the vision-like dream for the first time which prompted him to go to Imladris to search for the sword that was broken. For 110 days he journeyed from Minas Tirith to Rivendell, through unknown countries and under hard circumstances. He presented himself proudly before the Council of Elrond, tall, fair and noble of face, with a stern glance, dark-haired and grey-eyed like his ancestors. He wore rich garments lined with fur, locks about his shoulders, carrying his precious horn which came from beasts from far Rh�n. Boromir argued strongly for the use of the Ring against Sauron. It appeared to him like a most dangerous folly to let Frodo carry it into Mordor, whereas it could be used for good in the hands of a honest man such as his father. Nevertheless he was chosen to accompany the Ring-bearer in the Fellowship. On the journey of the comrades to Moria, he proved himself as the valiant warrior he was and saved the hobbits' life when the Watcher in the Water attacked in front of Moria gate. Reluctant to enter Moria, he still went as he was overruled by the others. Boromir showed much the same unwillingness upon entering L�rien, a place he only knew as a realm of untrustworthy magic and Elven plots. The existence of halflings was already a surprise to him; L�rien was almost more than he could take. The gift Galadriel gave him was a belt of golden leaves. More and more the Ring filled Boromir with a craving for its possession. Though his motives may have been righteous and based on an incorrect perception of things, his actions went too far when the Company reached Amon Hen. Frodo bade himself time to think alone about the next step, when Boromir first tried to persuade him one last time, and finally violently tried to gain the Ring when Frodo would not yield. Frodo fled, and left a regretful Boromir behind who lamented his deed of madness. Not much time did he have to do so - orcs of Isengard attacked the Company who was searching for the Ring-Bearer, and alone against multitudes of Uruk-Hai, Boromir defended Merry and Pippin until his death when the orcs shot him with a hail of arrows. For the last time he blew his mighty horn until the orcs hew it asunder, and the sound was heard still in far Minas Tirith, as was later told. Aragorn, Legolas and Gimli sang the Lament of the Winds for Boromir as they laid his body and tokens in a boat and let it drift down Anduin. His body was, marvellously no doubt, seen both by Faramir, and in Minas Tirith as it passed into the Sea. Be it, that the principle of "Evil deeds further the cause of the Good" applies to Boromir, or that he only fell due to the evil seduction of the Ring - corruptio optimi pessima -, not the least part did he do for the prevailing of the West in the end. written by Shark�	 What's New? ?